Base run develops the skills of moving into space and relies on passing and catching skills. Defenders have to close down space and attackers have to find space and choose between options. 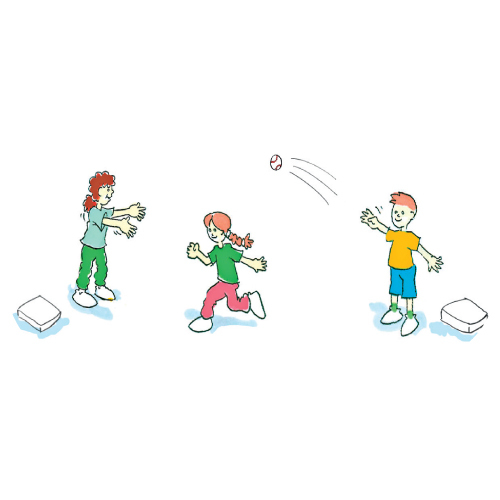 Play in groups of 3. 2 players with 1 ball try to stop a third player from reaching the base at either end of the playing area by tagging them. Ask the players to set their own rules for the activity, ie can you tag the player only after a specified number of passes? What do you need to do as a team to make a tag?